Recorded during Agile2018 in warm (but not as warm as the Netherlands!) San Diego, our own James Gifford sits down with Jurgen Appelo to see what he's been up to. This conversation covers all of Jurgen's current projects, including Management 3.0, Agility Scales, and even hints at an upcoming book! 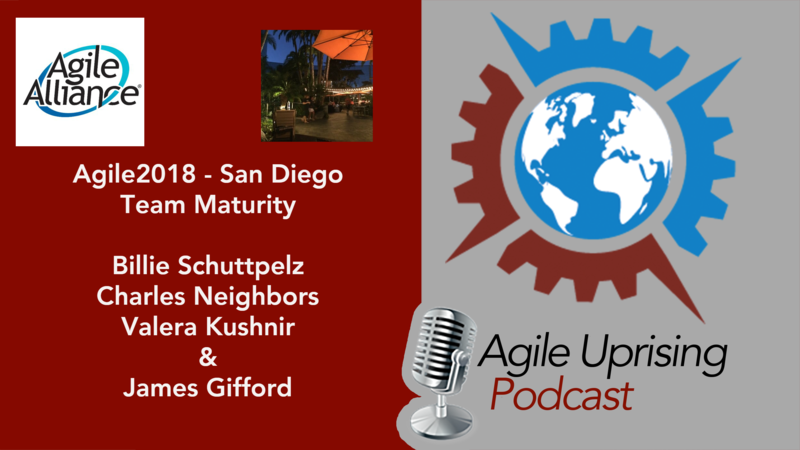 Recorded during the Agile2018 conference in San Diego, James Gifford sat down with Billie Schuttpelz, Charles Neighbors, and Valera Kushnir to talk about agile team maturity. The discussion then runs the gamut, covering topics like toxic team members, scrum master candidates, how to address team dysfunctions, and they poke around the question of "Should a scrum master be able to write code?" Enjoy! Ryan Lockard, Paul Elia, and Brad Stokes discuss the challenges of working in the world of transformation and how things differ between being an employee versus a consultant. This week's episode features special guest William Strydom and host Troy Lightfoot on the topic of "Integral Theory." 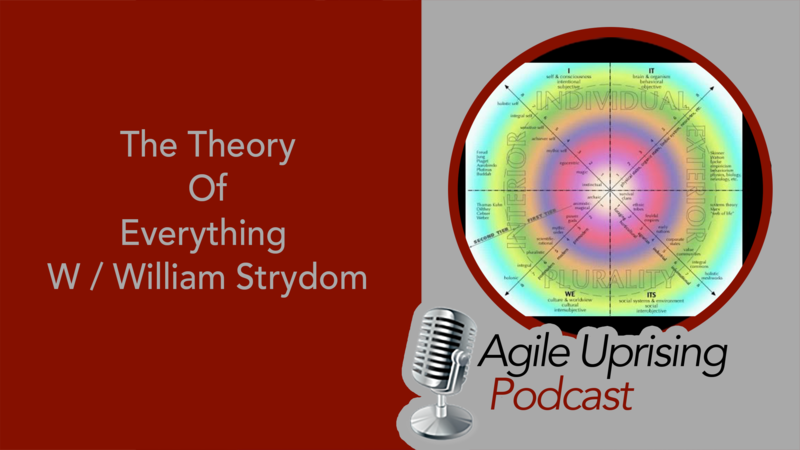 William and Troy discuss how leadership and teams can make better decisions by applying "A Theory of Everything." They discuss past experience with this theory in personal life as well as individual, team and and organizational levels in Agile Transformations. As a bonus they discuss how to use this theory for everyones favorite topic, METRICS!